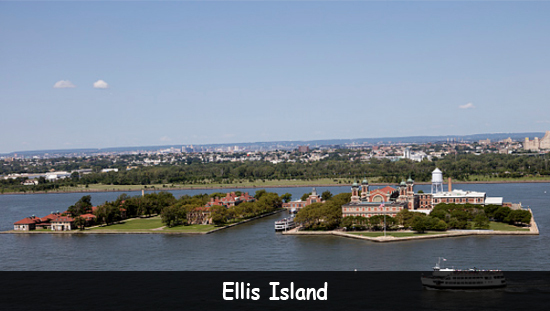 Ellis Island has been known by several other names including Little Oyster Island, Dyer’s Island, Bucking Island and Gibbet Island. It was the busiest immigration station in the United States from 1892 to 1954. Before that it was known as a place where condemned prisoners met their end. It was used by Native Americans for oyster harvesting and other food sources. It has been named after Samuel Ellis who was the last private owner of the island. It is located in Upper New York Bay and most part of it is located in New Jersey. The first ever immigrant to set foot on Ellis Island was a 15 years old, Annie Moore. All the immigrants had to go through a series of physical and mental exams to ensure their admittance to the United States. The medical facility at this immigration station was called U.S. Marine Hospital Number 43. They were required to answer a total of 29 questions in order to gain entry to the United States. This island was made part of the Statue of Liberty National Monument in 1965 by President Lyndon Johnson. Between 1892 and 1924, more than 12 million people were processed through the island. Immigration to the United States decreased after the National Origins Act of 1924. Approximately 90% Ellis Island is man-made. Ship ballasts and excavation from subway construction increased the size by 6 acres. During the Civil War, this island also served as an ammunition supply depot. Declan, Tobin. " All Facts for Kids about Ellis Island ." Easy Science for Kids, Apr 2019. Web. 21 Apr 2019. < https://easyscienceforkids.com/ellis-island/ >.